Our members have made 50287 posts. Our newest member is: lydiadawson. Most users online was 208 on Dec 9 2017, 07:35 AM. 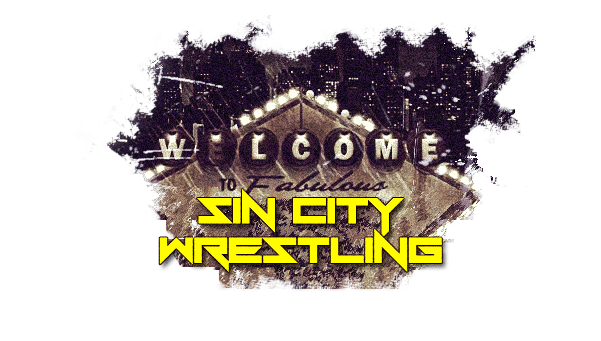 Welcome to the home of Sin City Wrestling - A roleplay e-fed and the home of Sin City Underground - An angle e-fed. Your one stop shop for your e-fed needs. RESULTS AND UPDATES: - April 21st, 2019 - Happy Easter! Here's an Easter treat for you, not only has Climax Control 235 had been posted, but Underground 19 has been posted too! Plus the card for London Brawling II has also been posted. Show and roleplays have been archived. Also the rosters have been updated, character description board has been cleaned up, supercard pages built and match threads have been posted along with a countdown clock added to the supercard roleplay board for the deadline for week one. Also right below here, you'll find a new match of the week! Azz N Class - TWOOOOO STEPPPPP! TWOOOOO STEPPPPP! Design and Text © SCW 2019. Roleplays © the original author. All images contained within are copyright to the original author and are not the responsibility of SCW. If you beleive someone has infringed on your work please e-mail [email protected] and we will remove it immediately. This E-Fed is in no way shape or form related to the WWE corperation.